Rep. Ceha, 1999, 57 min. Si-au inceput drumul prin viata la inceputul secolului 20, in ultimii ani ai Monarhiei Austro-Ungare. Au trait secolul contradictiilor si in ciuda greutatilor vietii si-au pastrat spiritul liber si umorul. Documentarul a fost filmat timp de un an in satele de la poalele Carpatilor Moraviei Slovace. Echipa de filmare a venit neanuntata atat in zile obisnuite cat si in zile de sarbatoare in incercarea de a intelege sistemul de valori ai acestor oameni si ordinea dupa care isi ghideaza viata. The story brings evidence of the values of people living on the foothills of White Carpathian Mountains, whose life journey started at the beginning of 20th century, in the last years of the Austro-Hungarian Monarchy. 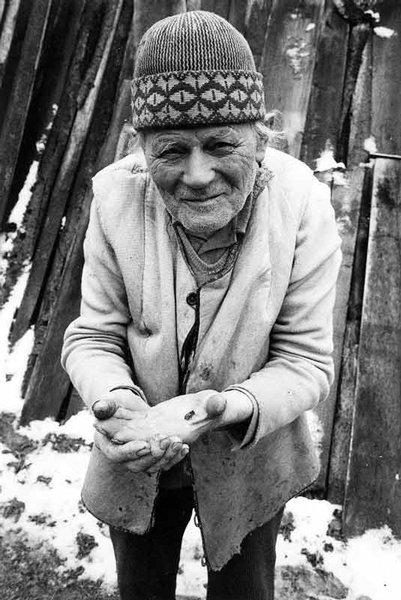 For a period of one year, the filmmakers visited several old people on ordinary days as well as during traditional religious feasts and holidays. The result is an evidence of the value system and order of people, whose journey through life started at the beginning of that contradictory century and ends at its raging end. An evidence of people who in spite of the rough life conditions kept their free spirit and humor as an expression of a great inner strength.